MAGNIFICENT ONE STORY POOL/LAKE HOME IN BOUTIQUE DEVELOPMENT OF STONERIDGE LAKE ESTATES. PROPERTY SHOWS LIKE A MODEL,STARTING WITH THE CUSTOM LANDSCAPING. CONTEMPORARY UPGRADES THROUGHOUT THE HOME. STUNNING KITCHEN REMODELED IN 2018, NEW PORCELAIN FLOORING IN SOCIAL AREAS. NEW POOL ENCLOSURE SURROUNDING BEAUTIFUL TRAVERTINE POOL DECK WITH LOVELY SALINE POOL WITH HEAT PUMP. THE VIEWS ARE GORGEOUS FROM THE POOL AREA. SECURITY CAMERAS AND MONITOR, PLUS MOTION SENSOR SECURITY LIGHTS INCLUDED. THIS PROPERTY IS A MUST SEE. EASY ACCESS TO MAJOR ROADS , AIRPORTS AND BEACHES. PLEASE SEE ATTACHED FEATURE SHEET FOR MORE INFORMATION. PEMBROKE SHORES- "BARADERO" MODEL. HOME BOASTS 141 FT ON THE LAKE AND WETLANDS WITH SPECTACULAR VIEWS FROM THIS ONE OF A KIND, HUGE HOME IN THE GATED/GUARDED COMMUNITY OF HARBORSIDE. NOTE SPACIOUS ROOM SIZES, SOARING CEILINGS IN THE LIVING ROOM, PRIVATE BALCONY OFF OF THE MASTER BEDROOM. IT ALSO FEATURES: 1 BED & 1 BATH DOWNSTAIRS, UPDATED KITCHEN W/WOOD CABINETS, GRANITE COUNTERS, SS SPPLIANCES, ACCORDION SHUTTERS 2ND FLOOR, PANELS ON 1ST FLOOR, 3 CAR GARAGE WITH OPENERS, FREE FORM POOL, COVERED PORCH FOR LOUNGING, OVERSIZED LAKE LOT, LARGE LAUNDRY ROOM WITH TUB. ALL LOCAL SCHOOLS, EASY ACCESS TO MIAMI AND FT LAUDERDALE. BACK ON MARKET: Resort Style Living in this Beautiful 4 Bdrm/ 3 Bath, Lake View Pool Home in Desirable Pembroke Isles. Totally renovated modern kitchen w/wine cooler, Top of the line SS Appliances of course new granite and faucet & sink. Tavertine Marble Floors downstairs Hardwood Brazilian Cherry upstairs. Renovated Baths, new light fixtures and fans, new real Plantation Shutters thru out the home and Accordian Hurricane shutters on ALL windows. The community clubhouse includes a heated Olympic sized swimming pool, children's pool, jacuzzis, gym, steam room, tennis, playground and basketball courts. The HOA includes 24/7 manned gate and patrol, cable, lawn and tree maintenance. In highly desirable Pembroke Falls 24-hr manned gated community, this customized Newport model offers stunning indoor/outdoor living! Rich exteriors with mature landscape & impact glass front door/sidellte. Interior: 10ft vaulted ceilings w/crown molding t/o; Bamboo & tile flrs; Custom marble topped Wine Bar & Kit, tumbled travertine bksplash; custom b/b island. Elegant Master, tray ceiling & luxury Bath. Heated salt pool w/custom fountain wall & stone deck. Lush landscapes! Near hwys, shopping, medicals. BEAUTIFUL SPACIOUS 3 BEDROOM 3 BATH REMODELED POOL HOME ON WATER LOT IN SPRING VALLEY WITH BREATH TAKING LAKE VIEW! 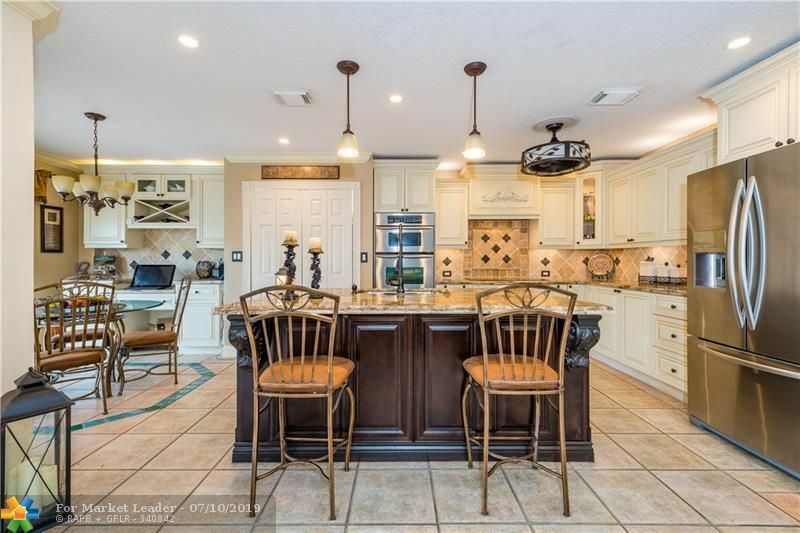 LARGE OPEN FLOOR PLAN, GORGEOUS TRAVERTINE MARBLE FLOORING THROUGHOUT LIVING AREAS, HUGE BEAUTIFUL GOURMET EAT IN KITCHEN WITH WOOD CABINETS, GRANITE COUNTER TOPS, AND TOP OF THE LINE APPLIANCES! HUGE MASTER BEDROOM WITH A MASTER BATHROOM TO DIE FOR WITH ALL MARBLE AND FREE STANDING TUB. THE FAMILY ROOM OPENS TO THE GAZEBO AND BEAUTIFUL TRANQUIL LAKE. EXCELLENT LOCATION BEAUTIFUL COMMUNITY CLOSE TO EXCELLENT SCHOOLS, SHOPPING, AND RESTAURANTS. Welcome to the 24hour Guard Gated community of GÇ£EncantadaGÇ¥ - Located in a great A+ School District in the heart of Pembroke Pines where you will feel like you are at a vacation resort - Amenities include: Pool, Clubhouse, Gym, Tennis, Basketball, Volleyball courts, Playground and more - This Beautiful one-story home sits on a large 10,000+ Sq. ft corner lot w/ 4 beds, 3 baths, and a 3-car garage GÇô This split floor plan boasts a spacious open kitchen that was recently remodeled with High End kitchen cabinetry, granite counter tops & Stainless Steel appliances - Master bath w/ separate shower and Roman Tub. Appointed with granite vanities & dual sinks. 2 Walk in Closets in the Master Bedroom GÇô Accordion Shutters Throughout GÇô The Extended covered patio is ideal for entertaining your guests! Stunning Eden Model! This 4 bed, 2.5 baths, 2 car garage, plus Bonus Loft, home in highly sought after Pembroke Isles raves pride of ownership. Lrg Covered, Screened Patio w/priv garden views! A contemporary masterpiece w/spacious living areas, vol. ceilings & tons of storage, offers New Gourmet Eat-in-Kitchen w/ Stainless Steel Appl, granite counters, modern backsplash, 1st Floor Master Suite w/2 Custom built-in closets & sitting area. Neutral Title 1st Floor, Wood Floors on 2nd. Freshly Painted with 5 1/4 Baseboards, Wood Staircase. Upgraded fixtures, fans & plantation shutters. Accord Shutters. LED Lighting, A/C 2013, Tankless WH, built-in Garage Storage. Maint incls lawn care, sprinklers, cable, ADT Alarm, Clubhouse w/resort style pools, Fitness Center, Tennis & more. A-Rated Schools. MUST SEE!! 4 BEDROOM/3 BATH POOL HOME WITH OVERSIZED BACKYARD. NEWER KITCHEN WITH STAINLESS STEEL APPLIANCES, GRANITE COUNTERS & REAL WOOD CABINETS. UPSTAIRS BATHROOM & MASTERBATH WERE UPDATED LAST YEAR WITH REAL WOOD VANITIES,GRANITE COUNTERS & UPDATED SHOWERS. HOME BOASTS TILE FLOORS THROUGHOUT, VAULTED CEILINGS, LARGE SCREENED PATIO. INTERIOR WALLS FRESHLY PAINTED. 2 SPLIT A/C UNITS. 3 ZONE WELL SPRINKLER SYSTEM. 2 SIDE PATIOS. FRUIT TREES INCLUDE : MANGO, GUAVA,SOUR SOP,LIME & BANANAS. THE UPSTAIRS WINDOWS ARE IMPACT GLASS.HURRICANE PANELS.SOLD AS IS. This well appointed home in desirable Chapel Trail will not last! The spiral staircase will WOW you upon entering the home.. this home is very spacious, humongous Master bedroom with walk in closets overlooking the pool, wet bar, island kitchen with newer appliance & A/C unit, open floor plan, Location, Location, Location .... Enjoy breakfast while viewing the large screened in pool ... Accordion Hurricane Shutters all around. "Stay safe Family" Low HOA fee incl.Cable & Internet. Seller Motivated! 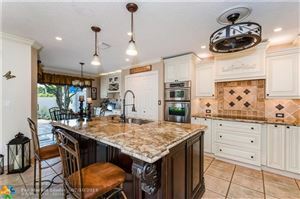 BEAUTIFULLY REMODELED 4 BEDROOM 3 BATH LAKE VIEW HOME IN GATED COMMUNITY CLASSIC LANDINGS /TOWNGATE. HIGHEST RATED 150 - 200 MPH HURRICANNE IMACT WINDOWS & DOORS!! KITCHEN HAS BEEN TOTALLY REMODELED WITH STAINLESS STEEL APPLAINCES, LARGE CENTER ISLAND WITH SINK & UNDER LIGHTING. WIDE OPEN FLOOR PLAN DOWNSTAIRS WITH AMAZING VIEWS OF THE LAKE WHICH IS GREAT FOR A FAMILY OR ENTERTAINING!! HIGH HAT LIGHTING THROUGHOUT DOWNSTAIRS!! TRAVERTINE MARBLE DOWNSTAIRS & STUNNING ENGINEERED WOOD UPSTAIRS!! MASTER BEDROOM HAS HUGE SITTING AREA WITH CLOSET THAT CAN EASILY BE CONVERTED TO 5TH BEDROOM!! ROOF HAS BEEN SEALED & PAINTED!! UPGRADED PAVERS IN FRONT OF ENTIRE HOUSE & DRIVEWAY!! 2 OF THE 3 GARAGE SPACES HAVE BEEN CONVERTED TO AN OFFICE AND CAN EASILY BE CHANGED BACK TO A GARAGE. Enjoy the rarely available quiet cul de sac lot with an expansive backyard. Plenty of room for a pool, bounce house and trampoline! The impressive two-story high soaring ceilings welcome you and your guests. Lots of room for everyone, inside and out, with 4 bedrooms, plus an open loft that can easily be converted to a 5th bedroom. Kitchen and baths have all been updated with gorgeous granite counter tops and updated cabinetry. Baths have beautiful new lighting and mirrors. The kitchen has all stainless steel appliances. The large screened in patio is the perfect place to enjoy the outdoors. Mature and perfectly placed landscaping create a sense of privacy and beauty. This beautiful home is protected by accordion shutters. HOA includes expanded cable, internet, roving security. Priced to Sell. Look no more ! Beautiful Pool Home full of Character and Flair. Situated in Desirable, and Gated Spring Valley ... The Island. Private lot on wide canal. Renovated Kitchen with Stainless Steel Appliances. 3 bedrooms, and a Loft/Computer area. All Impact Glass. Bring your qualified buyer to AAA+ Schools, Shopping, Recreational, and Transportation. Gorgeous Turn Key 4 bedroom 2.5 baths home with new A/C and large, completely updated, open kitchen. Home currently set up as 3 bed with large loft area with pool table and designer iron railings overlooking formal living room with soaring ceilings. Kitchen features custom cabinets, large island, granite, double ovens and stainless appliances. Features updated bathrooms with frameless glass showers, formal dining, crown molding & neutral tile throughout. Exterior features large backyard w/ covered patio w/ ceiling fans, large covered balcony off master bedroom, new fence, & much more! Low HOA dues include cable and internet! Call listing agent for appt. 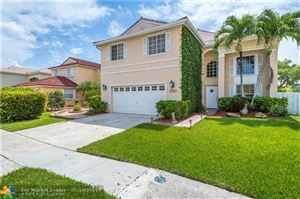 Best Deal in Pembroke Falls, PRICED TO SELL! MUST SEE! Spacious 4 Bed/2.5 Bath with Open Floor Plan, Large Bright Windows, Volume Ceilings & Loft Overlooking the Living Room & Dining Area. HOME WARRANTY! Open Kitchen, Tile Counter Tops, Top of the Line KitchenAid Appliances, Includes Snack Bar Island, Lots of Cabinet Storage, Pantry, Breakfast Eating Area, Easy Access to Patio with Direct Gas Line for your BBQ, Huge Backyard & Room for a Pool. Master Bedroom & Bathroom are located on the 1st floor also perfect as an In-Law Suite Option. 1st Floor Laundry Room & 2 car Garage. FOUR 24 HOUR GUARD GATED COMMUNITY with Card Entry and MANY COMMUNITY FAMILY EVENTS, Centrally Located to Schools, Malls, Parks, Major Highways, Hospitals, Restaurants, Golf Courses & so Much More! WELCOME HOME!